Here at Who What Wear, we are firm believers in buying yourself a diamond ring whenever you please. Whether you're engaged, married, single, or in a complicated friendship you're not quite ready to define, dainty diamond rings just so happen to be one relationship status fits all, and that's a notion we can definitely get behind. 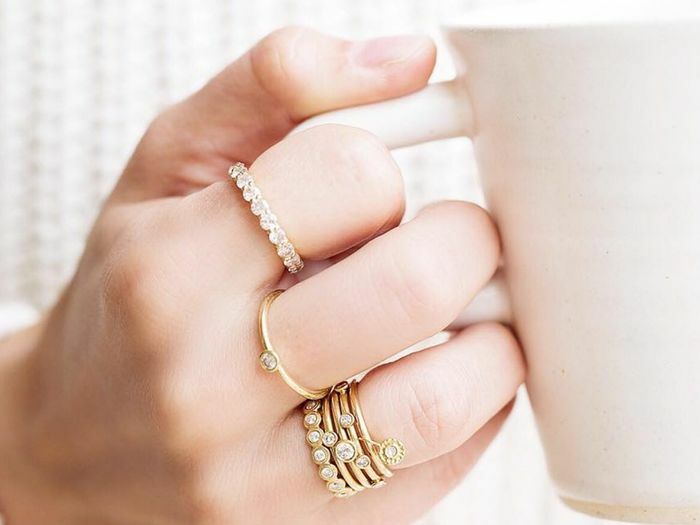 Fine jewelry these days has bridged the gap between unapproachable and "everyday"—and it's also multifunctional. So what does this mean for you? It means that now, more than ever before, you are able to shop diamonds you can throw on without thinking—or never take off for that matter. 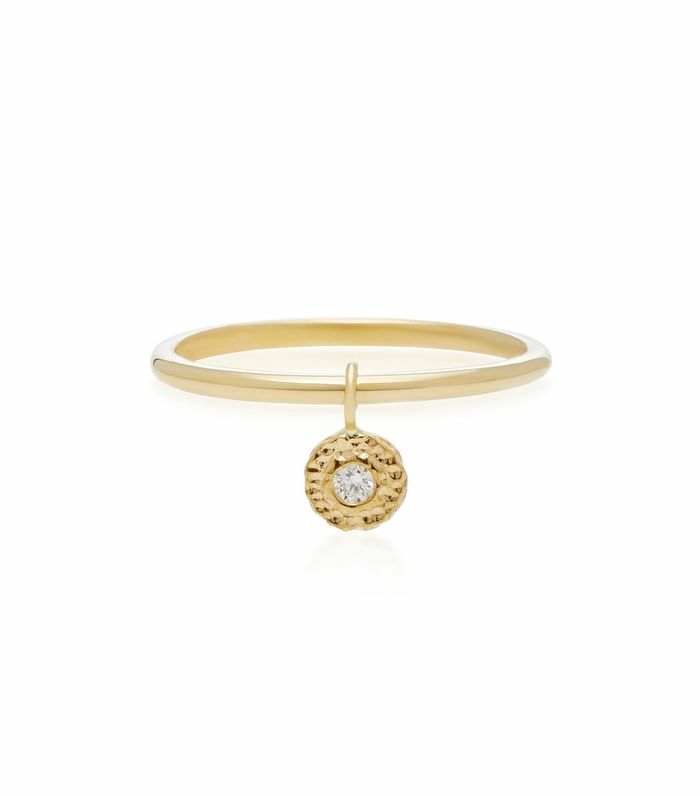 The idea of dainty, everyday fine jewelry allows people to feel good about the money they are spending, knowing they will get ample opportunities to wear the pieces they invested in for themselves. On the flip side, if you're trying to convince your significant other to buy you a tiny diamond, throw in the whole "cost per wear" argument and their mind might be instantly changed. Either way, the dainty diamond rings ahead are the kind of jewelry item you can wear alone, stacked, with a wedding ring, and beyond. Multifunctional, worth the money, and insanely gorgeous? We'll take the lot. If you're engaged (or about to be! ), check out the spring 2018 engagement ring trend everyone's talking about.